Goodwood bosses are hoping the golden summer of 2018 gives their 2019 attendance figures a boost. Numbers for Glorious Goodwood week were slightly down in 2018 despite the festival enjoying wall-to-wall sunshine - and bosses felt it was memories of the previous year’s wet Wednesday and lacklusre Ladies’ Day that kept some away. With that in mind, they believe thoughts of last year’s festival and its place in England’s hot summer will have people flocking to the festival this year. 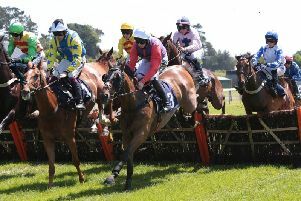 Racecourse general Alex Eade said: “Last year was a good year overall, with some highs and lows. “We didn’t start particularly well (with crowd disorder at the season opener) but the summer weather was the best on record. Getting people to spend money, whether they are corporate or individuals, has become harder and harder. Eade added: “When I first arrived at Goodwood, Rod Fabicius, who’d been the boss for 25 years, said he always thought that if a particular day was wet, you’d be ten per cent down on that day the year after. Goodwood managing director of sport Adam Waterworth said 2017’s weather, when Sussex Stakes day was hit by persistent rain all day which had a knock-on effect on Ladies’ Day, would have hit the 2018 figures, but there were high hopes the fine and sunny Glorious week last year would have the opposite effect for 2019’s bookings. “There’s always an element of the audience who will come perhaps one year in three, but you need more new raceogers the year after you’ve had a poor weather year because you know there are going to be fewer rebooking. But if you have a year like last year, with fine weather, you expect your rebookings to be quite high. Clerk of the course Ed Arkell revealed the Sunday of the August festival last year was wetter than the ‘Wet Wednesday of the 2017 Sussex Stakes day of deluge. And Waterworth paid tribute to the work Arkell had done in his first full season as clerk of the course – in the most challenging of seasons for weather, with the two-month drought coming just before the Qatar week. Bosses are happy to see this year’s fixture list remaining the same, with the Qatar, May and August festivals interspersed with Three Friday Nights and five individual racedays, three of which fall at weekends. Waterworth said the fixture list fitted perfectly with other Goodwood events like July’s Festival of Speed and September’s Revival. Meanwhile, people booking tickets for Glorious have until the end of May to book discounted tickets, instead of the usual end-of-April deadline. * This year will be the fifth of the Qatar sponsorship.